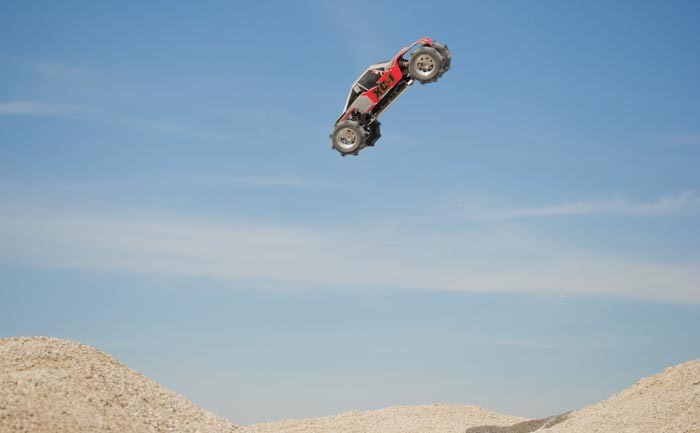 Here's the instructions to build your new Whiplash Formula Off-Road conversion kit. If you see anything that needs more detail, please let us know through our contact us page. 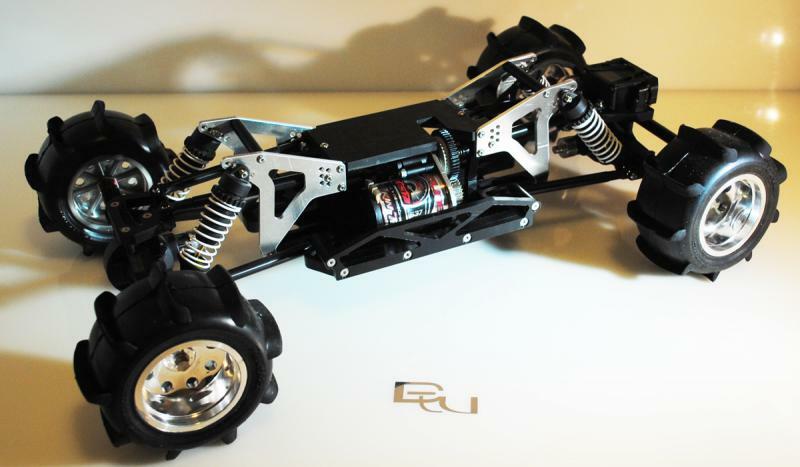 Thank you for choosing the Whiplash conversion kit for your Axial AX/SCX-10 Formula Off-Road Build. 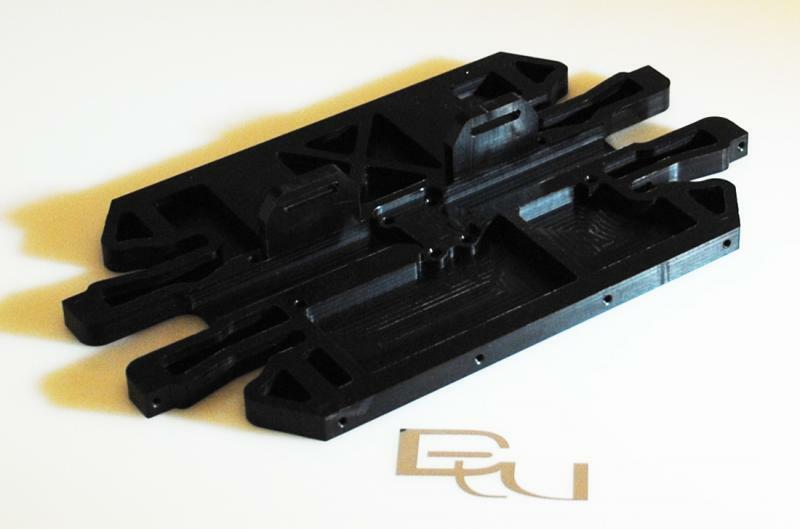 We will start with the skid plate and the 2x battery hold down blocks. These are attached from the bottom as shown here with 4x 3x14mm flat head machine screws. The will go in the holes lined up on front and back sides of the transmission pocket, on the side of the skid with the X. Next we attach the bulkheads as shown with 4x 3mmx20mm flat head machine screws. Notice that these bulkheads are not symmetrical right to left…the angled post goes on the side nearest you in the pic. The straight post is located on the battery side for large lipo clearance. Now we attach the shock towers to the skid and bulkheads with 8x 3x14mm button head machine screws as shown here. Note these shock towers may vary from those in your kit, depending on the wheelbase you opted for. This does not change anything about the build. 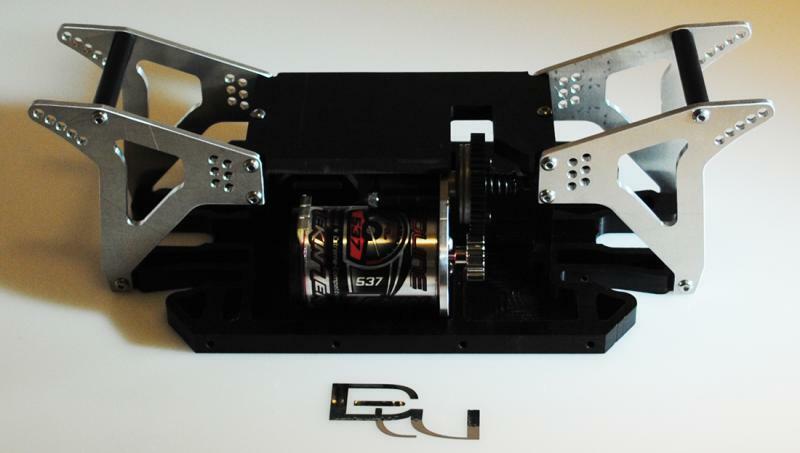 Now we add rigidity to the shock towers by adding the 2x 5/16x2.0” chassis braces with 4x 3x10mm button head machine screws as shown. Our next step is to install the transmission with the 4x 3x10mm flat head machine screws. This can be done later but you will have to remove the top plate (next step) to do so. Now we install the chassis top plate. Use 4x 3x10mm button head machine screws to attach it through the shock tower holes (above the bulkhead on the sides), and 2x 3x14mm button head machine screws to attach it through the top holes into the top of the bulkheads. 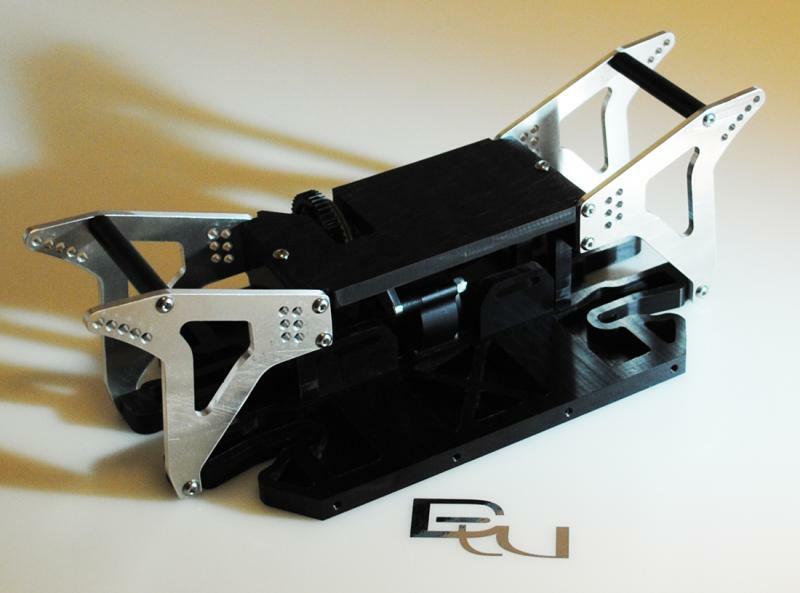 Grab the side rails and the 4x 5/16”x1” delrin braces (they are only tapped in one end). Attach them front and rear to the side braces with 4x 3x14mm flat head machine screws as shown. Now we connect the side rails to the skid plate. Note that the side rails are different. The one with the slots in the top of it are for your battery hold down straps, the one without goes on the motor side of the skid. First attach them to the inner 2 holes with 4x 3x10mm flat head machine screws. Next you will partially install the 4x 3x40mm flat head machine screws through the side rails and into the skid holes at the front and rear of the side rail. Run the screws through to where they almost enter the lower link mount slot. We will finish tightening these when we install the lower links. 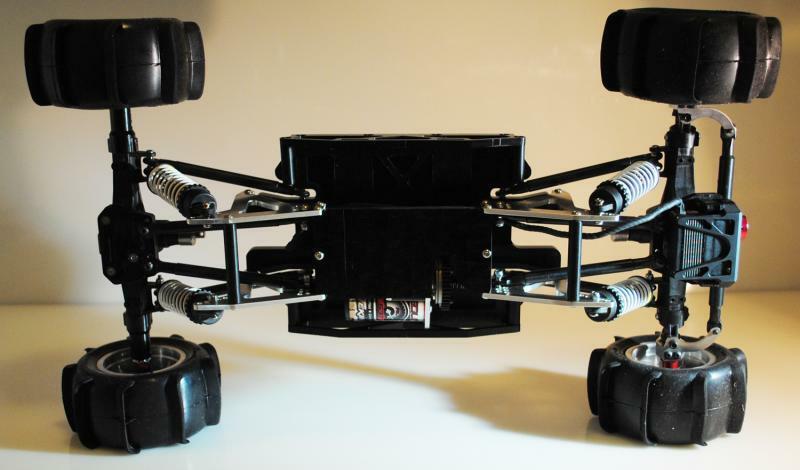 Set your chassis to the side and get your 16x Traxxas Revo rod ends and the 16x 8-32x5/8” set screws. Install the set screws half way into the rod ends. Now screw your rod ends into the 8x links. 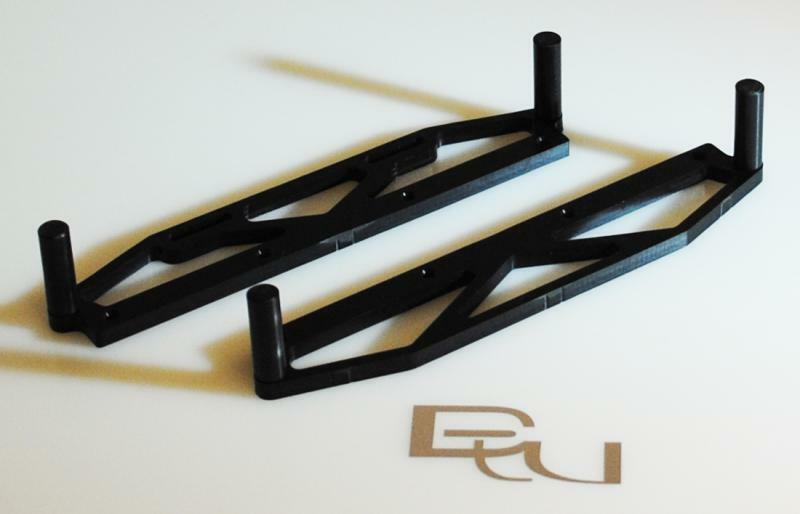 Your link lengths may vary depending on the wheelbase kit you chose. It will not affect the build. Note that half of your links (your lower links) need the rod ends to be parallel with each other, and the other half (your upper links) perpendicular to each other (90 degrees out). 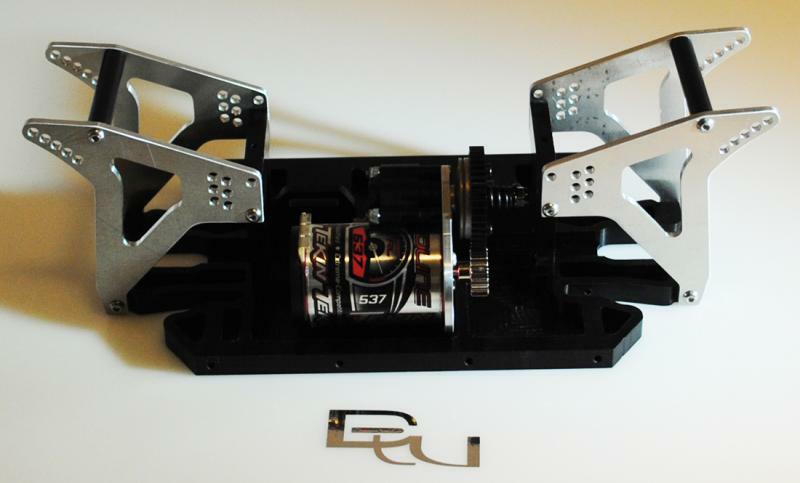 Set your links to the side and grab your axles and link/servo mounts. 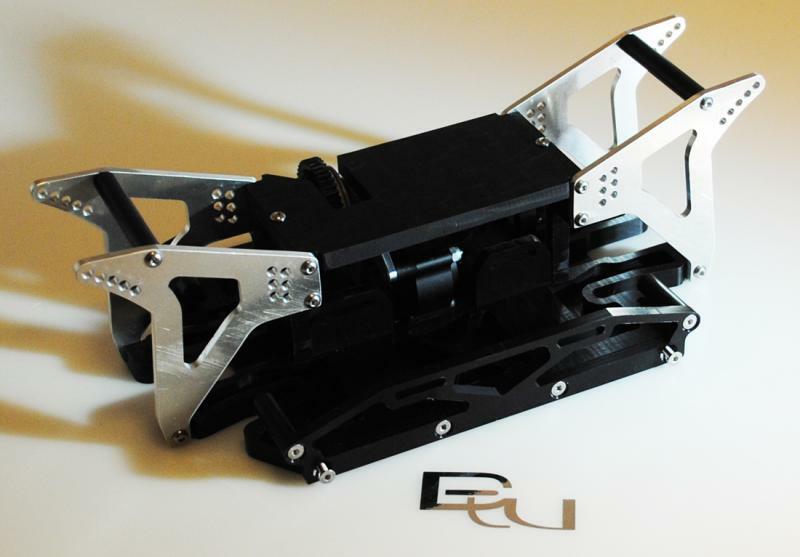 You will connect the link/servo mounts to your axles with 4x 3x14mm flat head machine screws, and 2x 3x10mm flat head machine screws. The longer screws connect the link/servo mount to the posts coming off the axle case. 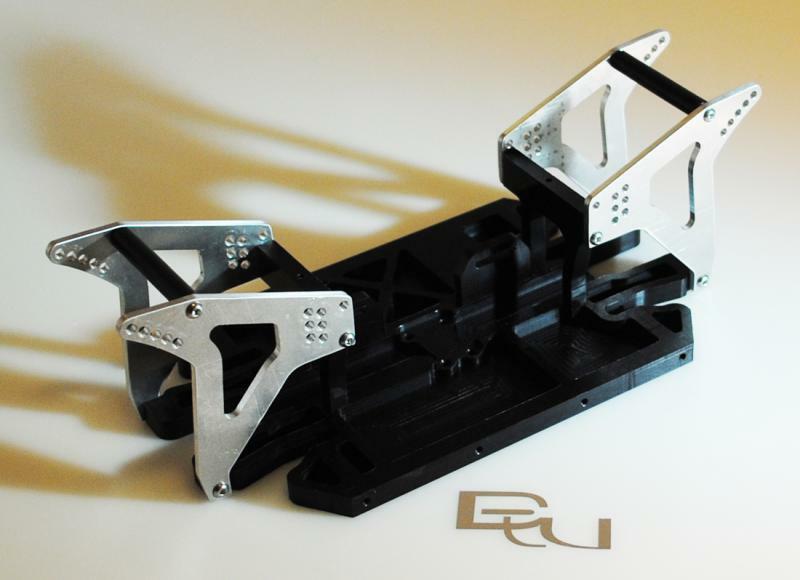 The shorter screws are required to connect the link/servo mounts to the existing 3-link mounts on your axles. 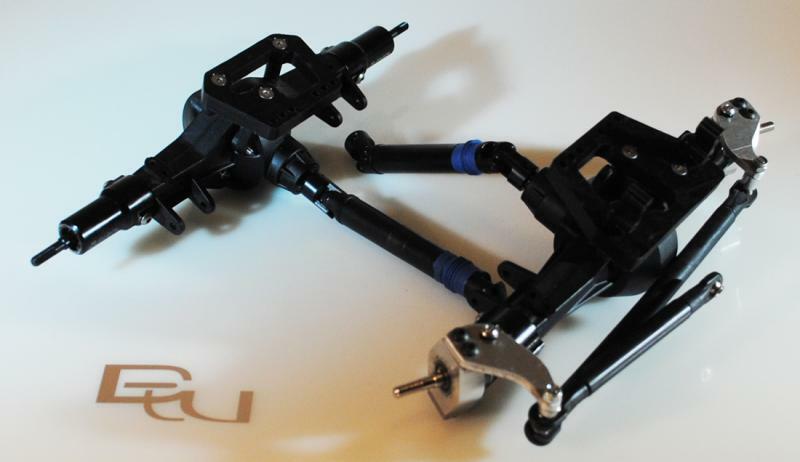 Now you will need your chassis, links, and axle assemblies. We will put it all together in a few simple steps. Connect your lower links to the skid plate by turning the 3x40mm flat head machine screws in the rest of the way. Connect your upper links (rod ends perpendicular to each other) to the shock towers using 4x 3x14mm button head machine screws and 4x 3mm lock nuts. 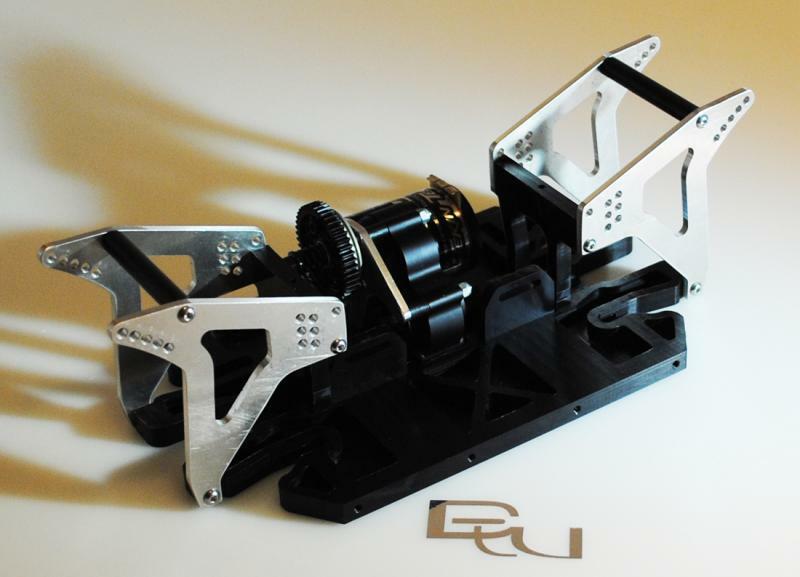 Look at the pics below for our preferred initial link setup. Connect your upper links to the link/servo mounts with 4x 3x20mm button head machine screws and 4x 3mm lock nuts as shown. Look through the next few pics to see where our preferred startup link locations are. Connect your lower links/shocks to the axles with 4x 3x25mm button head machine screws and 4x 3mm lock nuts as shown in the next few pics. 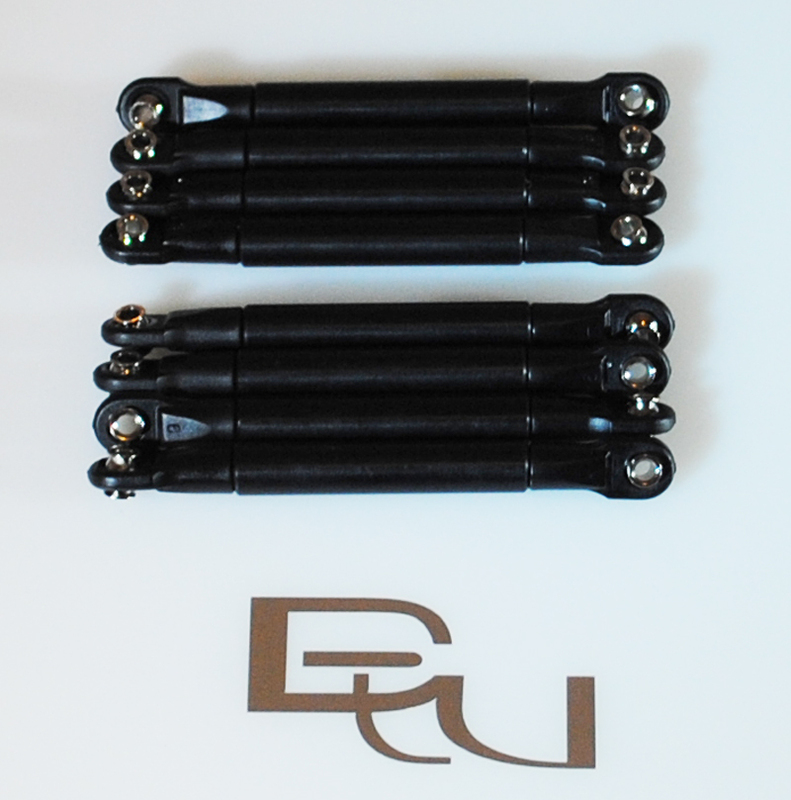 Our preferred setup puts the shock ends inside of the lower link rod ends. Shock spacers and longer bolts will be required to run your links inside and shocks outside. Connect your shocks to the shock towers with 4x 3x16mm button head machine screws and 4x 3mm lock nuts. 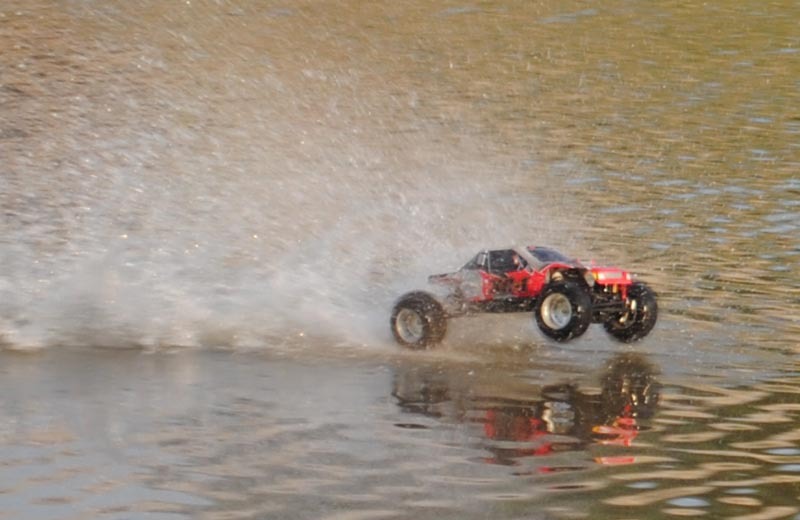 We included hardware that works with Trtaxxas GTR, Big Bore, and Losi Crawler shocks. 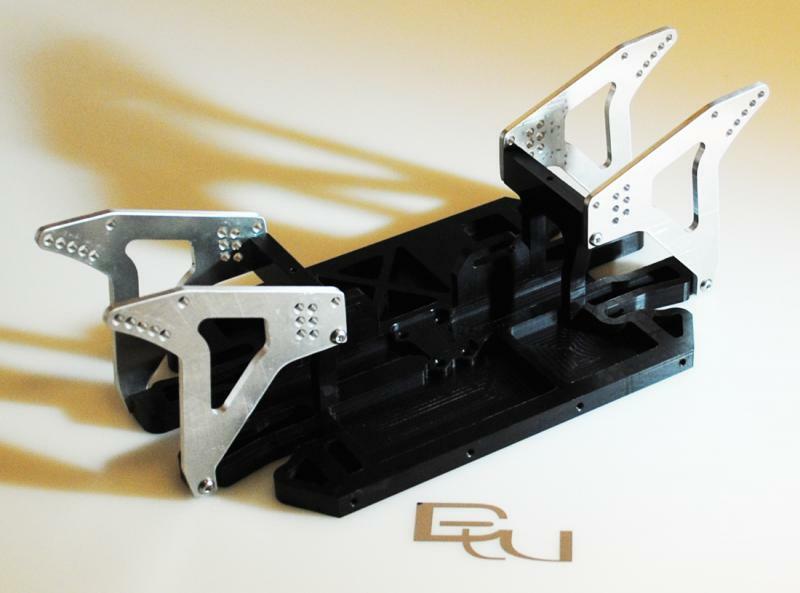 Depending on the shocks you choose, you may need other mounting hardware. Stick 2x 1”x1” pieces of sticky back Velcro to your skid on the side where the X is…on the two flat areas next to the X. This will keep your battery from moving around. Your battery will be held in with two Velcro straps running through the slots in the battery hold down blocks and the side rail. 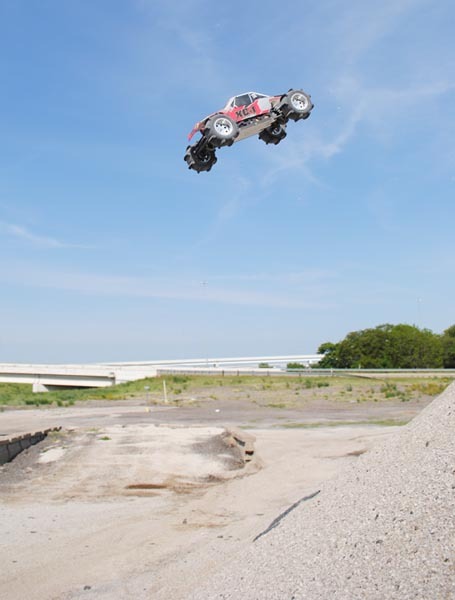 Now just install your electronics as you would on any other r/c and hit the dirt! Smaller ESC’s can fit on the skid while larger ESC’s (VXL, Mamba Max Pro, etc.) 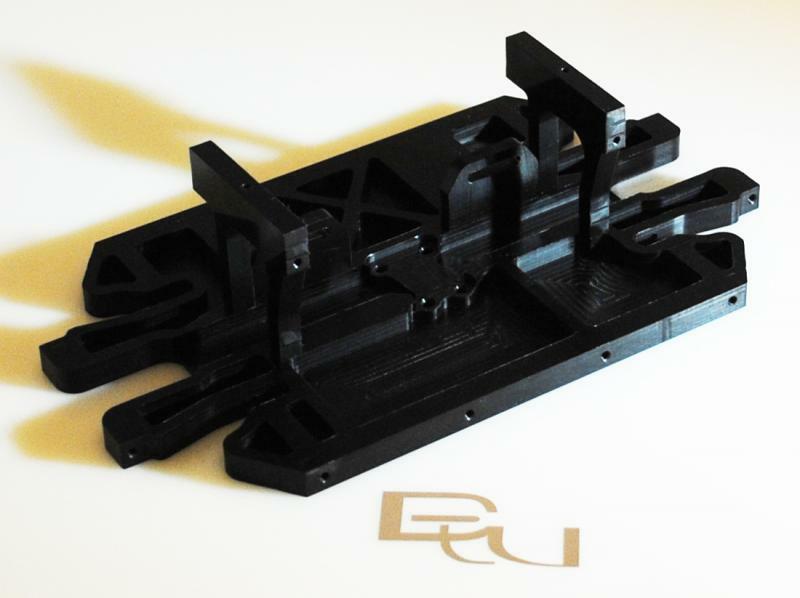 will need to be mounted on top of the upper chassis plate. My preferred setup is the Castle Creations Mamba Max Pro/4 Pole 1406 4600 KV system…on 3s of course! If you haven’t yet, you need to get with KC Jones here and order up some Gunnar Beef Tubes for your axles! 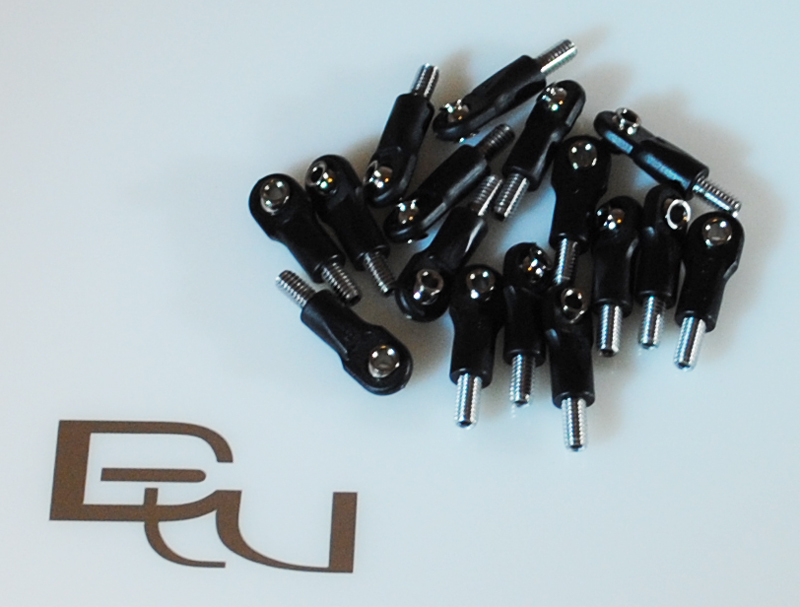 They are pretty easy to install and will increase the strength of your axles greatly. I went through 3 axle cases when testing my prototypes before beef tubes…and none after installing them and taking even bigger drops. Tell your friends! FOFF’s love to run in packs.